The first time I saw first class was on a Boeing 747, flying from Heathrow to Seattle in 1996. I had to turn right, but being an inquisitive 14-year-old I peered through the curtain several times. The airline had just introduced revolutionary flat beds, and together with the pine-effect paneling, blue seat and sideboard fabric, and flowers, it looked like a cross between a hotel and the Hanging Gardens of Babylon. I decided that First was the only way to fly. Today I appreciate the limits to product delivery in commercial aviation and know that first class is not as amazing as I imagined at 14. And since 1996, many airlines have reduced first class capacity, some withdrawing the service completely. Fleet-planning colleagues tell me only about the costs of first class and seem to forget about revenue. To convince those planners that they should invest in first class concepts you need to prove that revenue opportunities exist. This series of blogs is about how to use revenue management insights to find those opportunities. This one is obvious: some passengers are willing to pay more than the business class fare, and the price gap between private aviation and business class is high. Offering first class causes some passengers to pay more for their flights. Pressures to sell economy class are high, and yields can suffer as a result. Offering first class relieves this pressure, allowing your sales force to concentrate on more valuable opportunities, boosting revenue across all cabins. 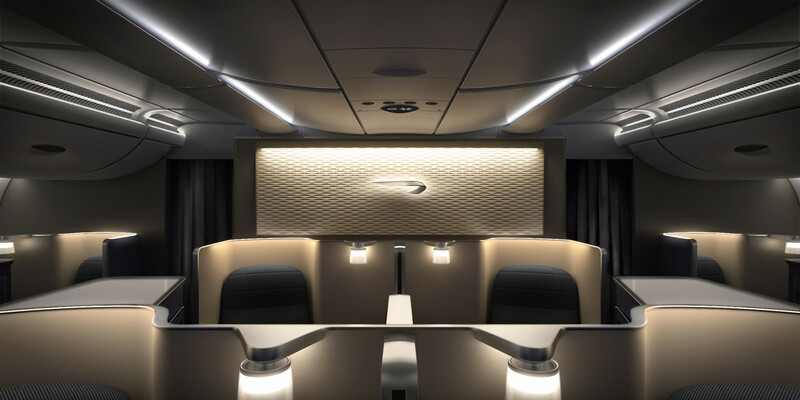 Offering first class on a limited selection of flights may produce less revenue than not offering first class at all because of passengers wishing to connect. Having first class seats going unsold because a passenger wants to travel first class all the way and books with a competitor instead harms revenue. If your alliance offers “circle” fares, first class passengers will always travel with your partners if you do not offer first class, increasing the cost of seats going unsold. There may be ‘status’ benefits of offering first class, as some passengers see that product and think your other cabins must be good too. Increased demand for lower cabins boosts your yield. Some business leaders may travel first class and offer contracts to their preferred airline. In this case, having first class can allow an airline to hoover up large quantities of lucrative business travel from that CEO’s company. There may be a loyalty benefit from some passengers choosing to fly more to earn enough frequent flyer miles to redeem in first class rather than business. When passengers burn their miles for first class rather than business class seats, your loyalty liabilities are reduced. All the above may have “multiplier effects”. For example, higher demand and higher yields going together will increase revenue by more than the sum of each. To convince planners to invest in first class, ask your friendly revenue management specialist to help value each of these components.